Relevé Entertainment is a multi-faceted entertainment company specializing in talent management, brand development and television/film production. The company consistently delivers high-quality, “break-through” family and faith-based programming that engages national audiences. Production credits include the Oxygen franchise “Preachers of L.A, Detroit and Atlanta” as well as “Fix My Choir” (Oxygen), “The Sheards” (BET Networks) and The Sheffields (FYI). Building upon its success developing the television and theatrical career of multi-platform superstar Usher, we have become a full management partner to a client roster that includes GRAMMY Award-nominated artists Deitrick Haddon and GRAMMY Award winners Kierra Sheard and Michelle Williams, celebrity hair stylist Kim Kimble and VP Chief Diversity officer, Walgreens Steve Pemberton. Our core areas of operation include Television & Film, Client Partnerships, as well as our Community Engagement Initiatives, such as The Merge Summit. Holly Carter is the CEO and founder of Relevé Entertainment, one of the premiere management and production companies for family and faith inspired content. A twenty-five-year industry veteran, her career began in television casting (“The Fresh Prince of Bel Air,” “Roc,” and “Martin”). Inspired by a passion for artist development, she transitioned into talent representation. Upon landing her first superstar client, Usher, her company expanded into management, music and branding. As a producer of television and film, her television credits include “Preachers of L.A.’ (Oxygen), “The Sheards” (BET Networks) and “L.A. Hair” (second season WE tv). She also created and executive produced BET’s “106 & Gospel” and packaged the hit Nickelodeon series “Romeo!” with Tommy Lynch. On the film side, Carter packaged and produced in partnership with Rainforest Films, the groundbreaking faith-based feature film The Gospel (Sony ScreenGems) starring Idris Elba and Boris Kodjoe, In the Mix (Lionsgate) starring Usher Raymond, Mama I Want to Sing, starring Lynn Whitfield, Hill Harper and R&B hit maker, Ciara, and A Beautiful Soul, starring Deitrick Haddon and Harry Lennix. 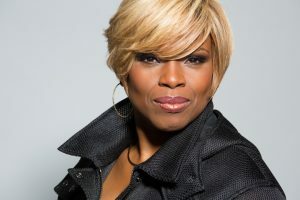 During her tenure, she has also helped to develop the careers of award winning gospel artists Kirk Franklin, Donnie McClurkin, Cece Winans, Mary Mary, Kierra Sheard, Mali Music and Deitrick Haddon, among others. Carter is also the founder of The Merge Summit, an empowerment and educational conference that merges the worlds of faith and entertainment. The event features in workshop settings a diverse array of entertainment industry executives, leading entertainers, as well as leaders from the corporate and faith communities. A Los Angeles native, wife and mother of two, Carter is a graduate of the MBA program at the USC Marshall School of Business and holds a Doctorate of Ministry from the Southern California School of Ministry.